Wolf-Garten Hand Fork Tool Head 7.5cm from the popular Multi-Change® inter-locking tool system, is specifically designed for connecting to an array of Multi-Change® Wolf tool handles. 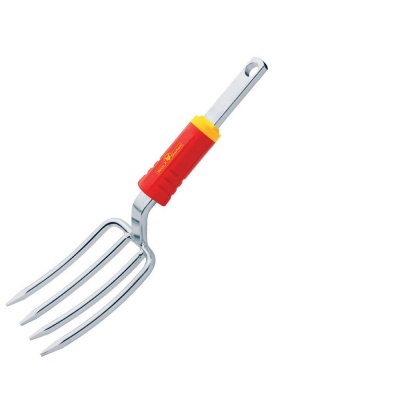 Suitable high quality robust garden fork suited for planting and transplanting duties. Narrow tines encourages minimal root disruption when planting or transplanting in light and medium soils. Wolf tools represent high quality engineering and supplied with a 10 year guarantee.